Here are some of the new products we have been working on! 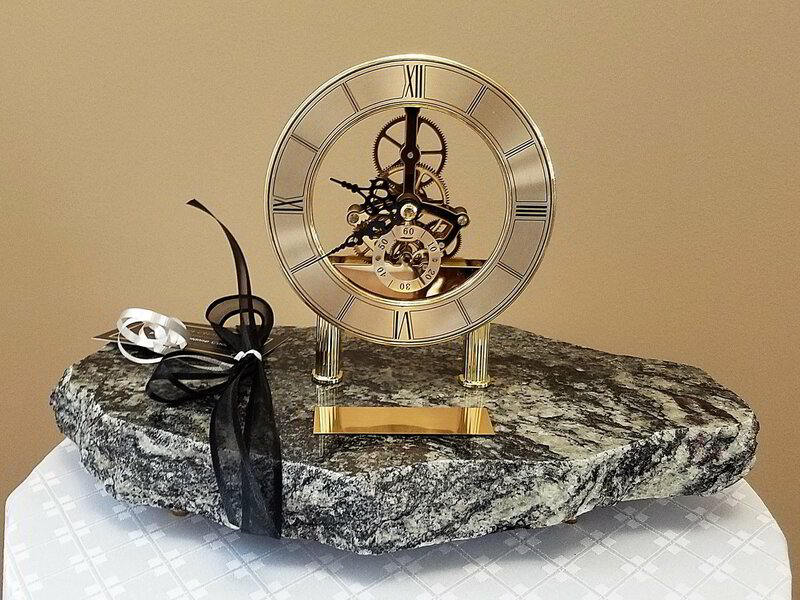 Oval face granite skeleton clock with engraving name plate. Makes an outstanding gift for commemorating an important event in ones life. 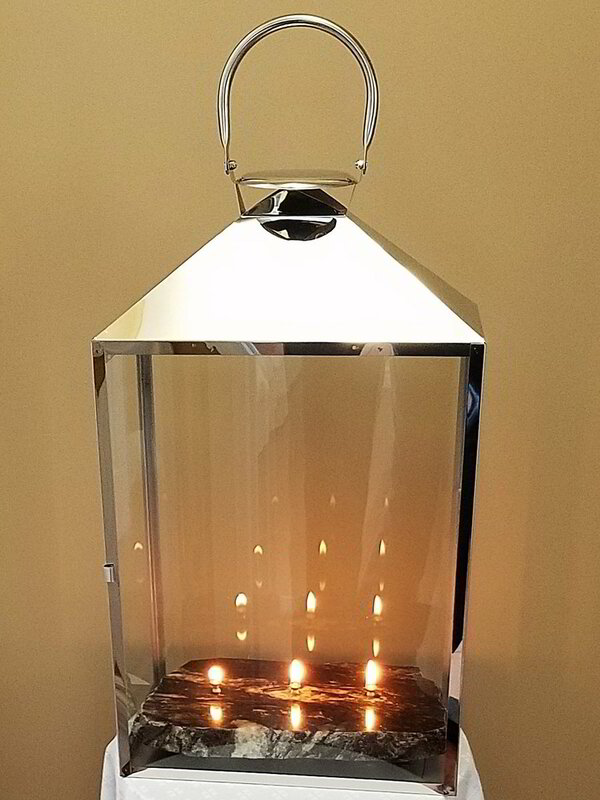 Stunning granite 3 candle paraffin oil lantern. Makes for an elegant addition to any decor, and adds charm and ambiance to a patio or gazebo. 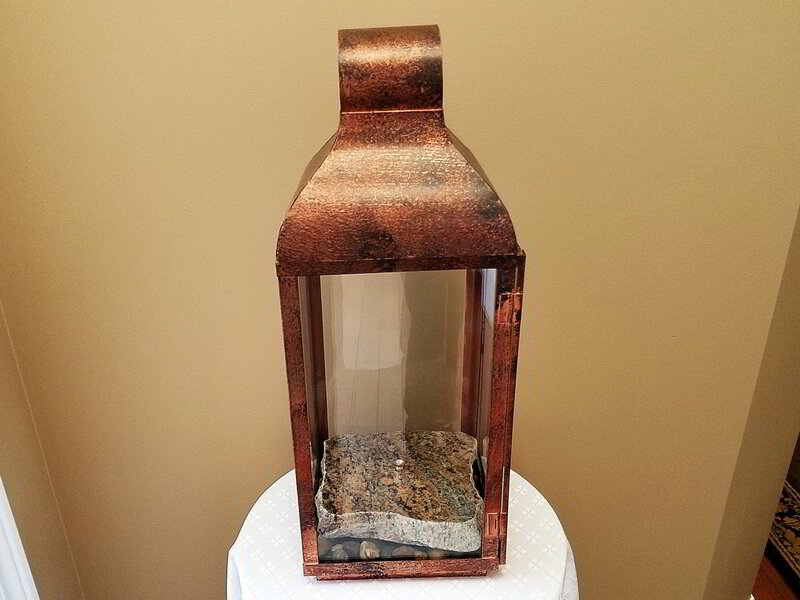 This copper finished, rustic paraffin oil candle lantern makes an outstanding addition to your cottage or deck. I just wanted to let you know that I am absolutely delighted with my 5 candle center piece and large serving tray! I can't wait to see your new products in the Spring. Very happy with the purchase of the oval clock. We bought this and presented it to our son who recently graduated from law school. We had the brass plate engraved to commemorate the occasion. Thank you, he loved it!